I bought the phone as soon as it was launched in India. The phone is loaded with various features like air gesture and air view. Display and touch are good. This 5-inch phone is very handy and easily fits in your pocket. Major problem with the phone is that it gets over-heated when used for long time. Another problem is with the battery. With mobile data ON, the battery drains to 0% in less than 6hrs. Back in 2013 when it was launched, was one of the best flagship devices Samsung ever made. I fell in love with it&apos;s sleek and handy design. With such an amazing smooth performance, couldn&apos;t get over this beauty. Stunning camera and battery life made it all the more better. I an using this phone for the last 3 years and when it was released it was one of the best flagships of samsung. Stunning camera and great features and gestures made it worth trying. It was launched in 2013, I had been using it fir like 3 years, it was the flagship phone at that time. This phone is not apt for current scenario. 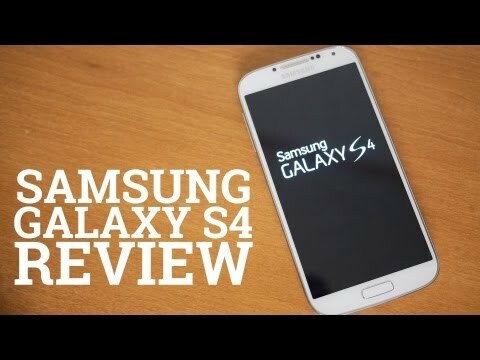 4 Pricebaba users have written their experience with Samsung Galaxy S4. If you own Samsung Galaxy S4, please do leave your feedback too. Samsung Galaxy SIV (S4) is the 2013 flagship phone launched by Korean giant. The phone has plastic body that looks very similar to that of Samsung Galaxy S3 or Note II. It is available in Black & White colour. It boasts a 5 inch 1080p Super AMOLED screen, first of its kind in a smartphone. Samsung has announced two variations in processor  quad-core and octa-core and shall run on Android 4.2.2 (Android Jellybean). Each model shall come loaded with 2GB of RAM and shall support microSD expansion up to 64GB. The phone has a 13 megapixel camera unit with features such as dual shot (allowing you to take picture with front and rear camera at same time), drama shots (taking burst of photos and overlap them), cinema photo (allowing one part of photo to move while other is still), make GIFs and pre-made templates. The phone is backed up by a 2600 mAh Li-Ion battery pack. Other features include S Translator (translates messages and emails to different languages), Air Gestures (lets you swipe/scroll pages without touching the screen with your finger), Air View (use your finger to hover over an email/date to see information behind), Smart Pause (Pauses a video when you look away from phone) and S Health (built-in pedometer, temperature and humidity sensors). The phone can also act as a combination of universal remote and visual TV guide. The group play feature allows you and your friends to play music or play multiplayer phones together. Galaxy S4 has three variants  16GB, 32GB & 64GB while the color options are - White Frost and Black Mist. The Galaxy SIV wages a feature-centric war against Apple's iPhone 5 that released late 2012.